Did you know Italian-Americans played a prominent role in the founding of America? For example, three of the first five American warships were named after Italians. These were the explorers Christopher Columbus and John Cabot (the English version of his real name Giovanni Caboto) and 16th century navy admiral Andrea Doria. Doria inspired Americans for his tenacity in fighting the pirates of the Barbary coast. While roughly 1,500 Italians fought on behalf of American independence, there are two individuals who deserve particular attention. The first is Giuseppe Maria Francesco Vigo, whom some say was the first Italian to become an American citizen. He was born in Mondovi, Italy on December 13, 1747. Though he began as a Spanish mercenary stationed in New Orleans, he soon became a merchant, and a very good one at that. He established a fur trading business in what was at that time a small frontier town in 1772. Today we know that town as St. Louis. When war broke out, he sided with the American cause. He became a spy and financier. George Rogers Clark (older brother of William Clark of the Lewis and Clark Expedition) ask him to scout the British positions at St. Vincent, about half-way between St. Louis and Detroit. As a fur trader, Vigo had the perfect cover. Unfortunately, the British were on to him. Captured by the Crown’s Indian allies, Vigo soon found himself imprisoned by the Lieutenant Governor Henry Hamilton. It wasn’t until local French citizens pled for his release that Hamilton allowed Vigo, then technically a Spanish citizen and non-combatant, to return to St. Louis. When the British ceded its Northwest Territories to America following the Treaty of Paris in 1783, the new country nearly doubled in size. Historians credit the Battle of Vincennes for this and, in turn, cite Vigo’s intelligence as the key to Clark’s victory there. The United States never repaid Vigo during his lifetime. Indiana, however, established the County of Vigo in 1818 to honor him. When Vigo visited the county seat of Terre Haute on July 4, 1834, he promised to provide money to buy a bell for a courthouse should the federal government ever repay him for his efforts in financing the Revolutionary War. Francis Vigo died on March 22, 1836 in Vincennes. It wasn’t until 1875 that the U.S. Government finally repaid Vigo’s loan, including the interest which added another $41,000 to the tab. Since Vigo had no heirs, however, the only money that was actually returned was enough to cover the purchase of the Terre Haute Courthouse bell. If Vigo’s efforts led to the immediately expansion of American, Filippo Mazzei may have given our country it’s most heralded belief. 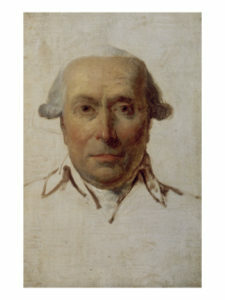 Filippo Mazzei was born on December 25, 1730 in the town of Poggio a Caiano in Tuscany, Italy. Well-travelled at a young age, he practiced medicine in Italy and the Middle East after studying in Florence. His life turned to one of commerce when he relocated to London, England in 1755. While working as an importer, he also taught Italian. It was in London that he first met Benjamin Franklin and Thomas Adams. One day, he shared an idea with these two Americans. He fancied himself importing wine and olives to the new world. In 1773, Mazzei set sail for Virginia. There, he met George Washington and Patrick Henry. He also became fast friends with Thomas Jefferson, and the two men established the colony’s first commercial vineyard. When war broke out, Mazzei quickly joined the American cause. By 1779, it was clear to Jefferson and others that, rather than fighting on the ground, Mazzei might better help the cause in Europe. He sought financing and used it to purchase and ship arms to American until the end of the Revolutionary war. Although Mazzei never settled in America, his family did after he died in 1816. Mazzei’s American legacy, however, doesn’t include his efforts aiding and assisting the colonist’s military efforts. His lasting impact is nothing less than what defines our country. Mazzei wrote most naturally in Italian, so that’s how he penned his articles. Of course, the colonists read English, so someone had to translate those articles. Fortunately, Mazzei’s neighbor was more than willing to do so. That neighbor was Thomas Jefferson. That’s why the Declaration of American Independence owes much to an Italian-American.